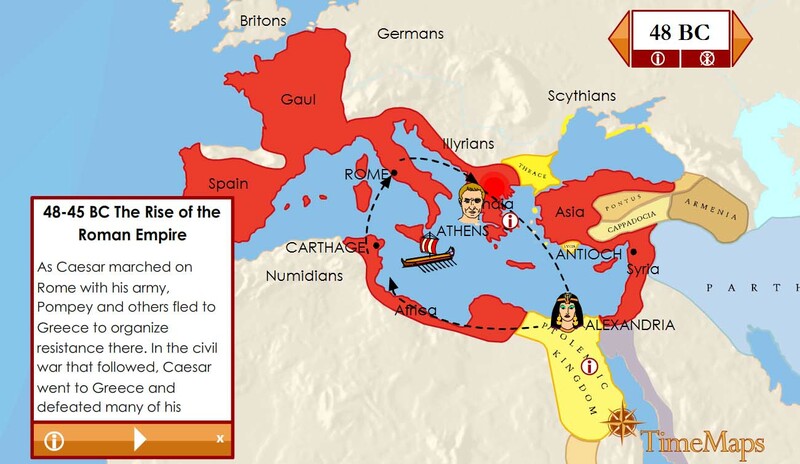 The Rise of Rome Time Trek includes 12 dynamic, animated maps, quizzes and encyclopedic information for each, as well as complete Teacher Notes with activities, map commentaries, timeline pages and student maps to label and color. $9.95 each for family license. Contact us for co-op and school license information. 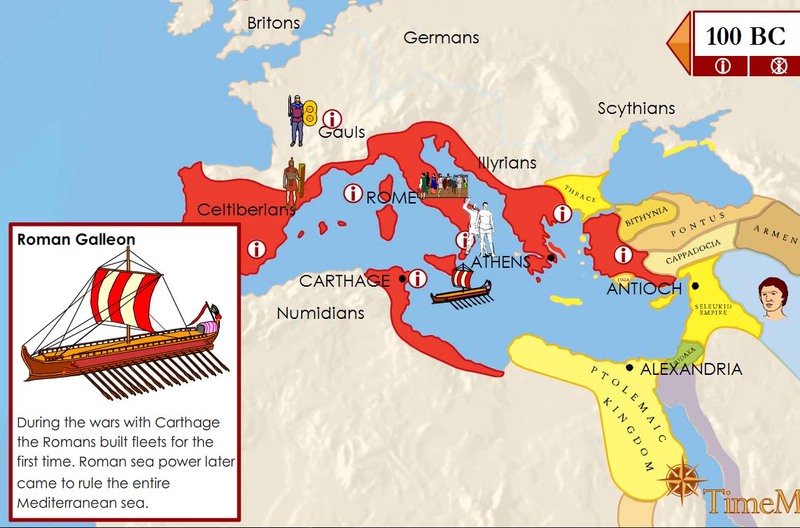 Ancient bundle includes (1) Ancient China and (2) The Rise and Fall of the Roman Empire - Three (3) full Time Trek sets for just $24.